How Long Does a Water Heater Last? Creating a comfortable home means you’re going to need a wide variety of different components. These range from central air conditioning and heating systems to a water heater. As one of the most important parts of your home, you’ll want to make sure you have access to a phenomenal water heater. Otherwise, you’ll be in a position where you’re running out of hot water after a single shower. 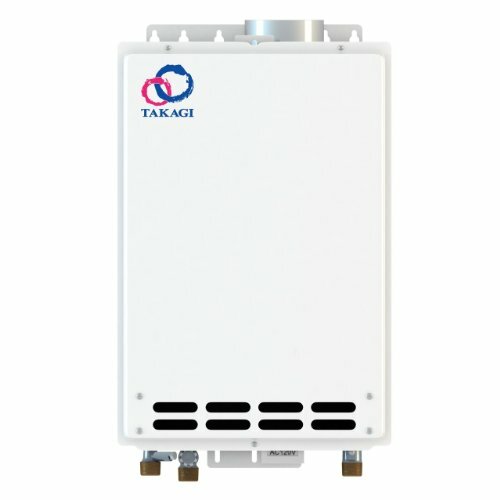 The Takagi Indoor Tankless Heater is one of the many different water heater brands designed to improve the quality of living in your home meanwhile ensuring you have access to an energy efficient heating solution. Below are some of the most noticeable advantages and disadvantages of the Takagi Indoor Tankless Water Heater. Designed for Medium to Large Homes: In comparison to other tankless water heater models, the Takagi Indoor Tankless is a great size for medium to large homes. With a maximum of 140,000 BTUs, this unit will easily heat water for three+ bathrooms and multiple kitchen appliances at the same time. .81-.83 Energy Rating: There’s nothing better than having access to energy efficient heating solutions in your home. You’ll not only be able to lower your monthly bills but also have the peace of mind that you are reducing the overall amount of energy your home consumes on a regular basis. Constant Temperature Monitoring: It’s important for your water heater to have a clear understanding of the temperature of the water. This ensures it doesn’t consume more energy to heat a substance that is already at its desired temperature. The constant water-monitoring feature is essential to boosting the Takagi Indoor Tankless Water Heater’s efficiency. Exterior Remote Control: The exterior remote control also helps to add to the convenience of this tankless water heater. You can easily adjust the temperature of the heated water whenever needed. You’ll also be able to view the incoming water temperature as well as the GPM usage. Prior to deciding on a single tankless water heater, it is important to consider the advantages it offers. The Takagi Indoor T-KJr2-IN-LP Tankless Water Heater offers an array of benefits you’ll love to have in your household. With traditional water heating units, the level of water flow is a concern. This is because the faster the water flows into the unit, the harder it is for the water heater to adjust the temperature of the water. With the Takagi Indoor Tankless, it offers impressive water flow that gives the unit more than enough time to ensure the water reaches the desired temperature. As with the majority of water heaters, if there isn’t enough pressure reaching the unit when a shower or sink is in use, the unit won’t boot up and begin to start the heating cycle. With this tankless water heating sytem, you will be able to turn the water on at half its regular pressure and still have access to hot water as the unit will begin heating without the chance of cutting out. Instead of relying on a steady stream of gas to heat any amount of water, this tankless water heater automatically adjusts the amount of gas it uses based on the amount of water being used. For example, if you’re simply doing dishes the flame used to heat the water will become slower. Whereas if multiple people in your household are showering at once, the flame will get bigger to accommodate the consumption of hot water. As with any type of item you purchase for your home, it’s important to consider the disadvantages of the Takagi Indoor T-KJr2-IN-LP Tankless Water Heater. If you’re not the type of person who has experience with installing water heaters, this particular unit may not be the one you want to start with. Ideally, opting for professional installation is your best bet when it comes to getting a new water heater for your home. Otherwise, you’ll be stuck trying to figure out instructions for an incredibly long period of time. 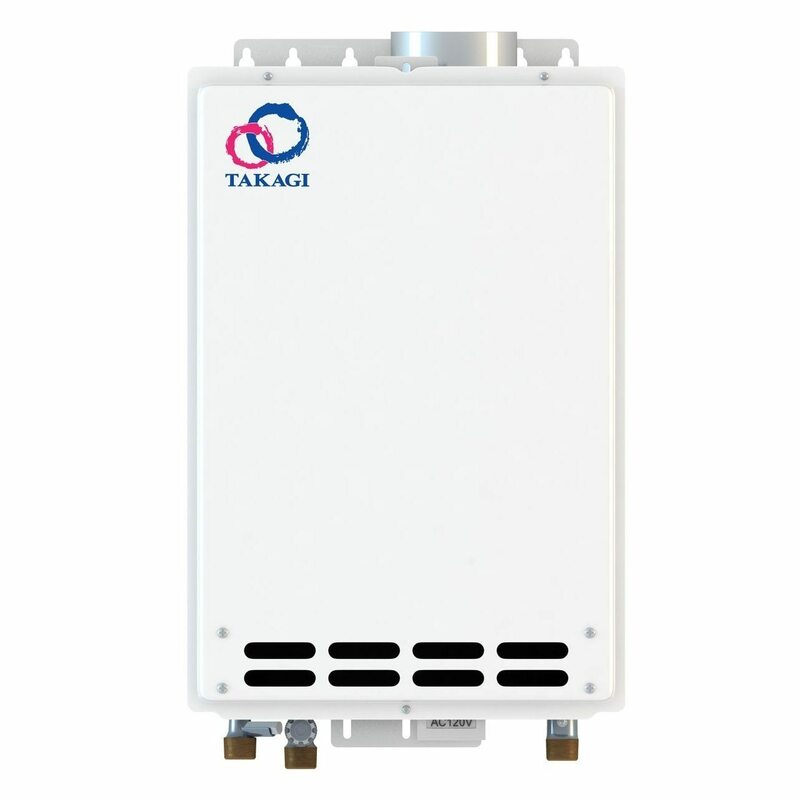 One convenience of the Takagi Indoor Tankless is that it also offers a package that includes a professional installation. You could also ask a friend or family member who has had experience with putting in a new water heater to assist you. Although it’s not an incredibly common issue with the Takagi Indoor T-KJr2-IN-LP Tankless Water Heater, it is important you inspect the unit for any manufacturing defects that could cause leaking. With hundreds of thousands of units created on a regular basis, there is a minute chance that a customer will receive a water heater with leaking. The main concern about leakage is the water can reach a variety of important components in the water heater, such as the motherboard. Once these components are exposed to water damage, it can force the water heater to become useless. Overall, it appears to be that the Takagi Indoor Tankless Heateris a relatively smart appliance that is able to create the perfect amount of water for your home. With its ability to automatically monitor gas levels to heat up water based on its level of consumption, you’ll never have to worry about taking a cold shower again. You’ll also enjoy the fact that it offers an external remote control, in comparison to other tankless water heaters that may not offer as accessible controls. This gives you the ability to regularly adjust the temperature of your water as it comes out of your shower, sink, or other household appliances. If you’re in the market for an all-inclusive water heater that offers an impressive level of performance, the Takagi Indoor Tankless is a competitive model. Waterheaterreviewssite.com is your one-stop shop for up-to-date information, advice and top water heater products information. *Disclosure: Links in the posts above are “affiliate links.” This means if you click on the link and purchase the item, we will receive an affiliate commission. We are disclosing this in accordance with the Federal Trade Commission’s 16 CFR, Part 255: “Guides Concerning the Use of Endorsements and Testimonials in Advertising. Copyright © 2019 - Water Heater Reviews. All Right Reserved.